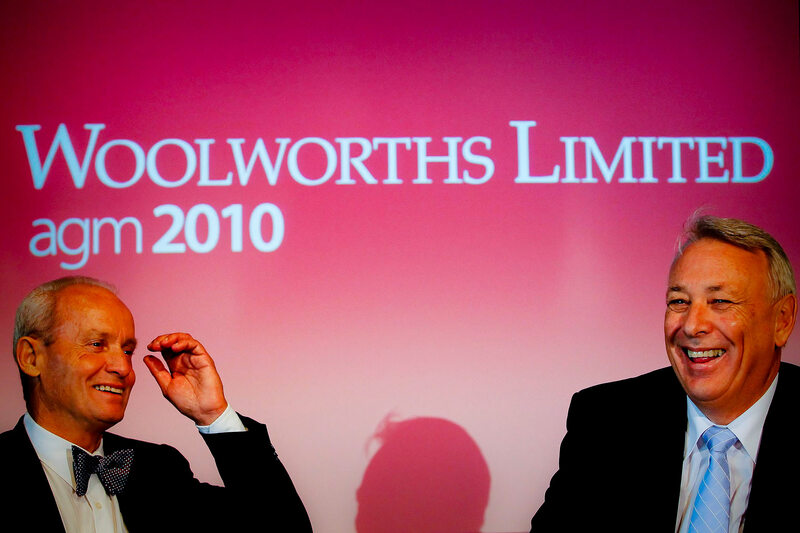 MichaelÂ Luscombe-Managing Director and Chief Executive Officer (r) and James Strong - Chairman of Woolworths Limited (l) , following the Woolworth's AGM at the Queensland State Library. Woolworth's posted a record net profit of $2.02 billion for the 2010 financial year, up 10.1 per cent on the previous year but cautioned a tight consumer spending forecast for 2010/2011 financial year. Image was commissioned by Australian Associated Press .